My girl Dani introduced me to The Groove earlier this year and I always have a great time!! 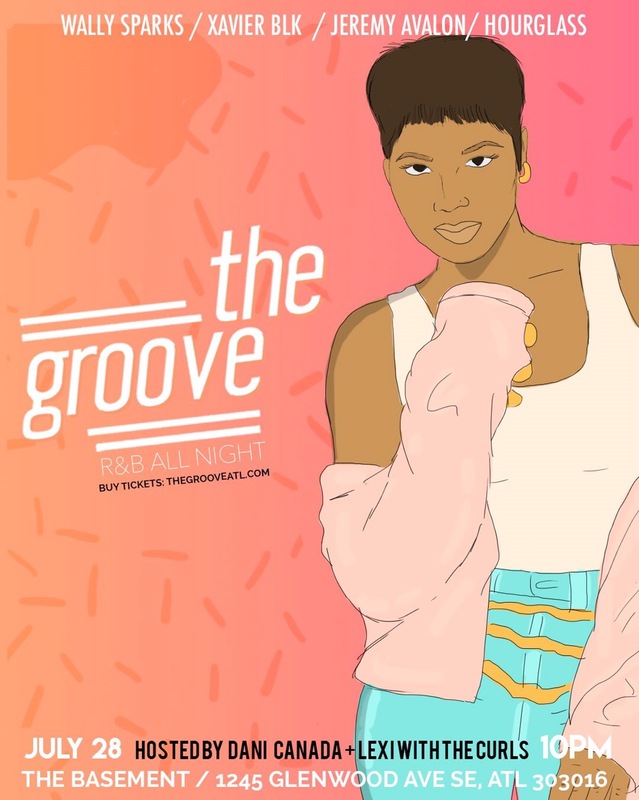 Think all R&B all night – but not sappy slow songs- good music that you can dance to! Danielle from WE tv’s Bossip show and I will be hosting this month on July 28th! Save the date and grab your tickets! You can come solo, bring your girls, or come with your boo! Either way, you’ll have a great time. Leave the heels at home. You actually dance here and it always has a great crowd. Join Ouidad For A Google Hangout Sunday #FRIZZ101 ATL Join Me For Curly & Fit 3/27 Sponsored By Cantu Join The Nivea Challenge + Contest (Win Nivea Products) Ends 8/8 Join Us 6/15 For Shop The Aisle In Lithonia!